So who are the people who Hatshapsut thinks she belongs to and their land is her Mother land? Known to them as Ta netjer or Ta nuter (“God’s Land”), they regarded it as both their ancestral homeland and a spiritual center. In Hatshapsut documents we find reference to to people related to Punt products that she called Amu, who were known to be “Dwellers on the sands”. A Fourth Dynasty relief shows a Puntite with one of Pharaoh Khufu’s sons, and in the Fifth Dynasty documents show regular trade between the two countries enriching both. A tomb inscription of the military commander Pepynakht Heqalb, who served under the king Pepy II (2278-2184 BCE) of the Sixth Dynasty narrates how Heqalb was sent by Pepy II to "the land of the Aamu" to retrieve the body of the warden of Kekhen who "had been building a reed boat there to travel to Punt when the Aamu and Sand-dwellers killed him". The Aamu were the Asiatics of Arabia. 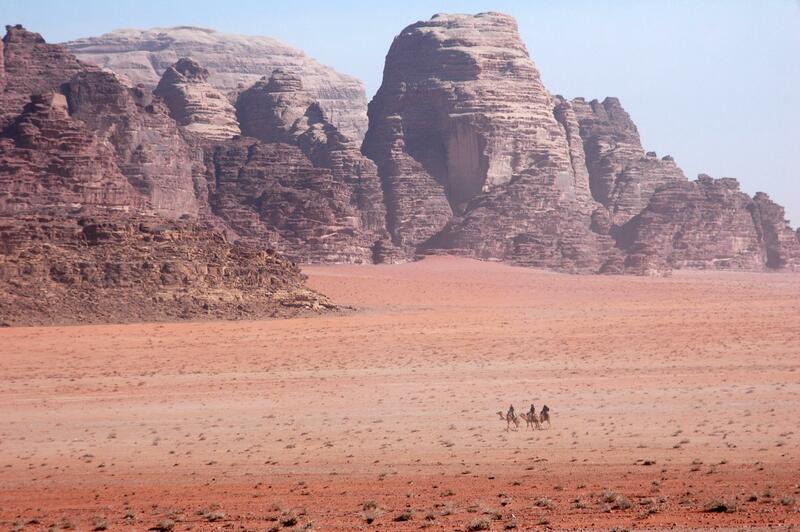 So who are the Amu or the “Dwellers on the sands”? Perhaps the most important evidence for the existence of such dwellers or pastoral social groups during the Bronze and Iron Ages is found in biblical records, and in the Egyptian documents and monuments. According to the old Egyptian document, the Amu, a nomadic, Bedouin-type of people were also known as the Shasu where populating the region of Sinai and south Jordan. This fact was documented in hieroglyphic inscriptions of the 13th century BC on temple walls in Egypt. A Papyrus from the region of Ramsses IX confirms that this land was bordered by the sea, and it was inhabited by Shosu bedouin. During the time of Amenhotep III, a topographical 1st inscribed on his temple at Soleb in Nubia, mentions a number of cities and regions conquered during his reign, include six ‘lands of the Shasu,’ referring to nomadic people associated with Sinai, the Negev and South Jordan. 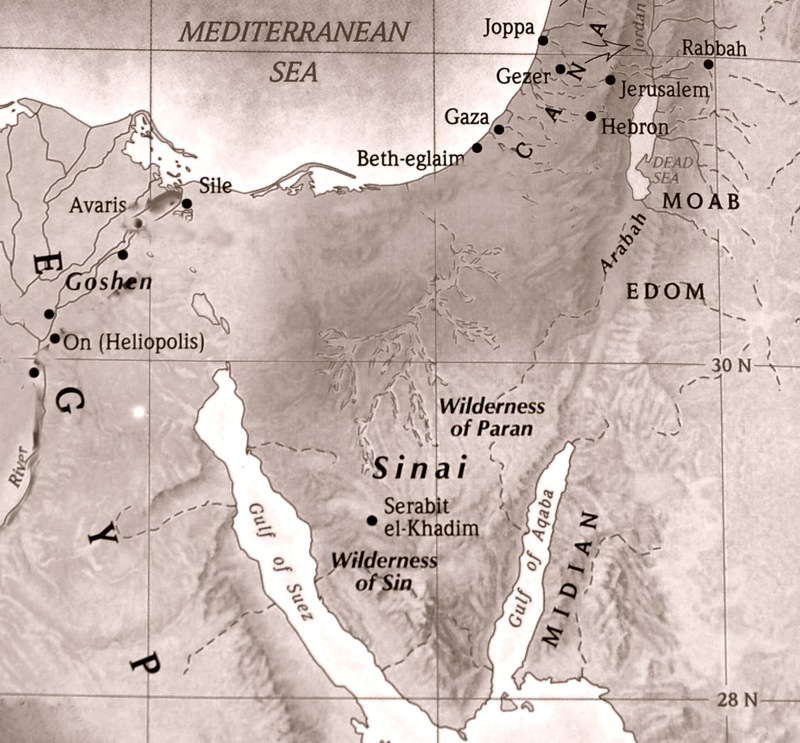 According to the historians the shepherds who migrated to this region during the Bronze Age came from the North; they were called “the Shasu” by the Egyptians. Later, the Shasu became known as the “Hyksos” by Greek historians. “Hyksos” is derived from the Egyptian word “hyk” which means prince, and “sos” or “shasu” denoting pastoral shepherds. History also tells us that the Hyksos tribes majority were originally Hittite and Hurrian, and they were accredited with introducing Horses to Egypt. The Hyksos slowly climbed to power and were able to take control of Egypt for hundreds of years. 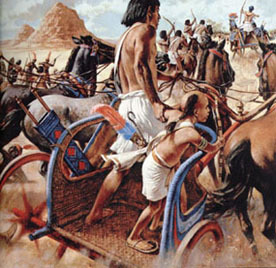 History also tells us that in the second half of the Hyksos rule, they introduced the two-wheeled horse-drawn chariot, and the compound bow, which was instrumental in their continued influence in Egypt. According to Manetho, the famous and wise Egyptian historian of ancient times, Egypt was indebted to the Hyksos for much useful knowledge and a great expansion of artistic endeavour, during their many years of dominance. The northern shepherds have long presented scholars and historians with puzzling questions: The nomadic northern shepherds were strangers to the region; however, they entered and then reigned in the land of the Nile as Kings and Pharaohs. Who were these people, and how did they extend their influence into Egypt? The enlightened invaders, wise men, or holy men, scenario might explain how wandering groups of shepherds who came to Egypt for peaceful purposes, could have gained high status. The historian Manetho speculated that the name "Hyksos" meant "Shepherd Kings." 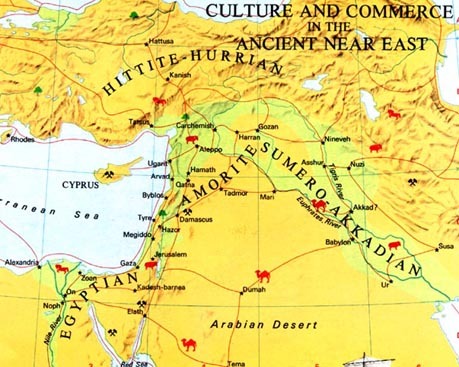 As to the race and language of the Hyksos, scholars unanimously agreed that they were Semitic and that they spoke with a strong Hurrian element in their language. The importance of this details lies in the fact that the biblical Abraham, who is from an Aramaic shepherd tribe, was also Hurrian, as was his Grandfather “Arfkshd or Arbaksad,” whose origins go back to Mount Ararat. In the Bible, Abraham is often reminded of his Aramaic father who was also a wanderer i.e Nomad Shepherd. The Novelty of the Hyksos in Wadi Arabah, Home of the Wheel and the Charriots? In various hieroglyphic texts, the ancient Egyptians refer to Punt by another name: Bia-Punt. This roughly translates as “Mine(s) of Punt”, indicating the primacy of green gold among the imports from the old territory. Punt, or at least some of the districts under its control, was thus a center of this green gold production. This fact is of considerable value in helping to narrow down its location since gold was and is only mined in select areas around the world. The importance of copper in the Ancient times up until the early Iron Age cannot be overemphasised. 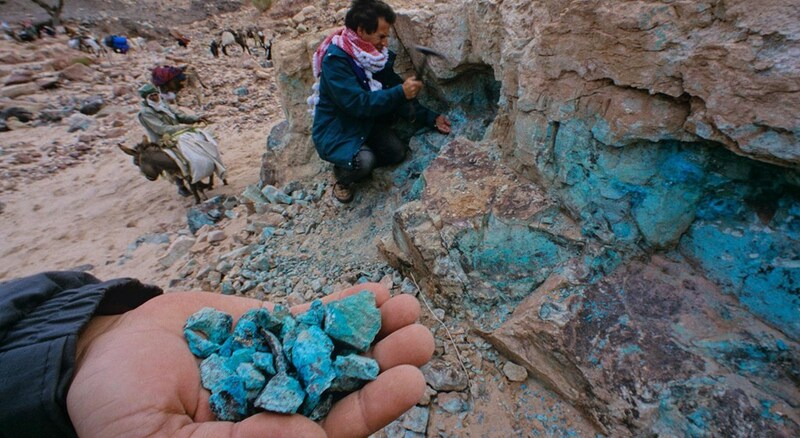 It seems that the regions of Edom and Midian rise to power by utlizing their local mineral wealth at that time: copper, bronze alloys, turquoise and garnet. Copper was the metallic backbone of the earliest civilizations; it was indispensable in war, industry, construction, and trade. There was also Garnet and turquoise which were very important products that brought them wealth. 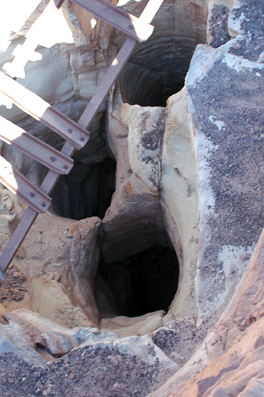 According to the Egyptian scholar S.Al Qimni, the mines of Wadi Arabah are the historic location where the “Wheel” was invented. The Arabiah is the word still used today in Egypt for the wheel-drawn chariot or carriage. 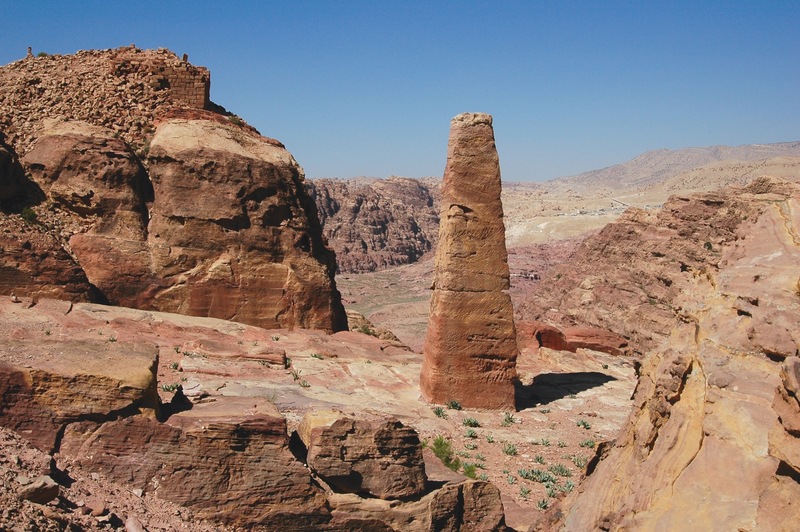 According to S. Al Qimni, Wadi Arabah was named as such because the wheel-drawn chariot was invented and first introduced to the world from that valley … a valley that was a major source of power, wealth and pride for its inhabitants. Iron may initially have come to a place of prominence through use of iron-bearing minerals as fluxes to remove slag during copper and bronze smelting operations. And this seems what happened here in wadi Arabah at that time. Unlike bronze, iron weapons could not be mass produced. Iron not only requires temperatures above 1500 Celsius to reach its melting point, but also smelting with charcoal to release the metal. Iron casting was impossible prior to the introduction of a blast furnace, which sustained sufficiently high temperatures to melt the metal. Upon reaching its melting point, the blazing hot iron was laboriously forged by hand. Although these technologies were established in China in the late 1st millennium BC, they were not introduced to Europe or the Middle East until the later Middle Ages. 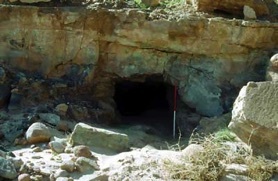 Strong iron tools that may have been produced in Wadi Fennan were used by the tribes due to the natural availability of high-grade iron-bearing minerals between the copper ore. 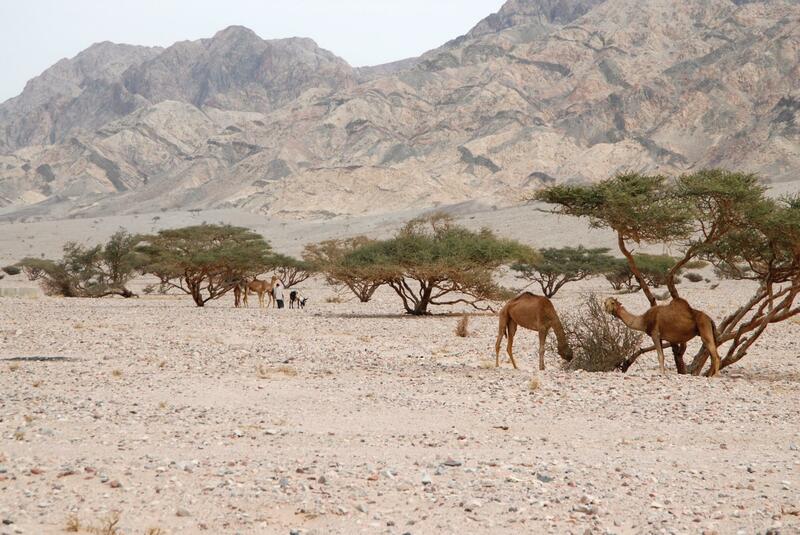 It is also possible, that the Acacia and Qathah tree’s vigorous wood and the Dead Sea bitumen played their significant roles in obtaining high temperatures required for iron smelting. Availability of natural resources and new technologies brought forth an undreamt of superiority of iron weaponry. So would be the copper ores rocks mixed with other metals that produce strong tool could be called the GREEN Gold or the Green Gold of the A’mu? Gold and electrum are often prominent among those items brought back from Punt or delivered by Puntities. Yet the inscriptions never refer to them as “Gold of Punt” or “Electrum of Punt”, but as the “gold” or “electrum from the land of Amu” according to Posener 1977. The question then arise as to weather the Green Gold of the Amu land is actually metal gold or Rocks that have green color. 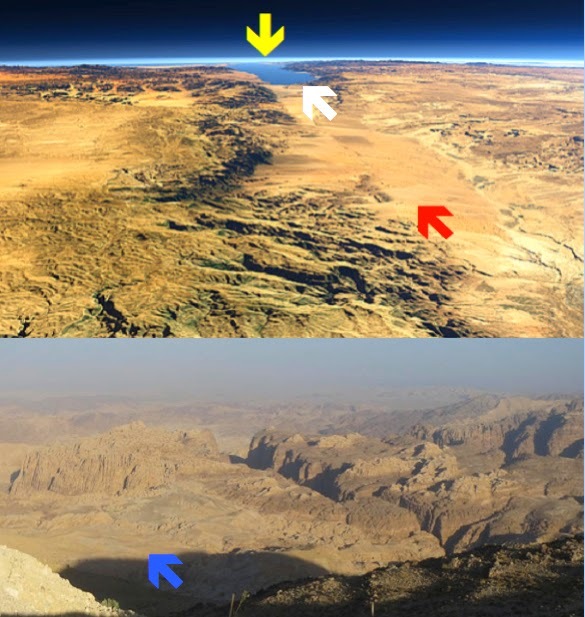 As we get closer to the Late Bronze–Early Iron Age interface and the period of direct concern to our research in the Jabal Hamrat Fidan region in Edom, the links between the Shasu nomads and Edom become clearer. For example, 60 years after Ramesses II, during the 8th year of Merenptah, about 1206 b.c.e., the term “Edom” appears for the first time in Papyrus Anastasi VI (lines 51–61): We have finished with allowing the Shasu clansfolk of Edom to pass the fort of Merenptah that is in Succoth [“Tjeku”], to the pools (brkt) of Pi-Atum of Merenptah (that is/are) in Succoth, to keep them alive and to keep alive their livestock, by the will of Pharaoh, LPH, the good Sun of Egypt, along with names from the other days on which the fort of Merenptah that is in Succoth was passed [by such people . .]. So who were the Edomities? The Edomites rose to prominence during the Late Bronze Age. They made their strong hold up on the Ash-Sharah highlands in the valley of Edom. 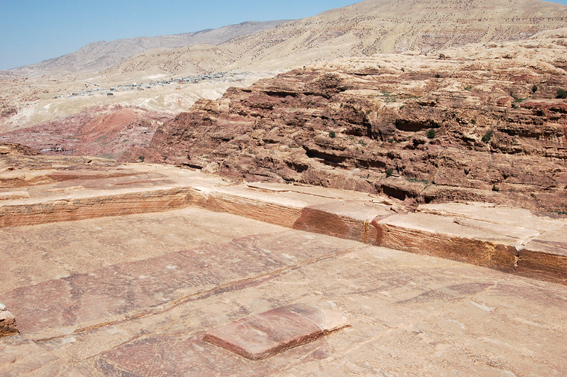 The valley of Edom was over a kilometer wide and five kilometers long. It formed a natural fortress with easily guarded passes. The only way to enter the valley was from the East, through a narrow multi-colored rock gorge, five meters wide and one and a half kilometers long. It seems that the great abundance of colour-bands of orange, red and mauve which belong to the Cambrian Age (540 to 488 million years ago) in Edom (modern day Petra), gave the name “Edom” meaning RED. 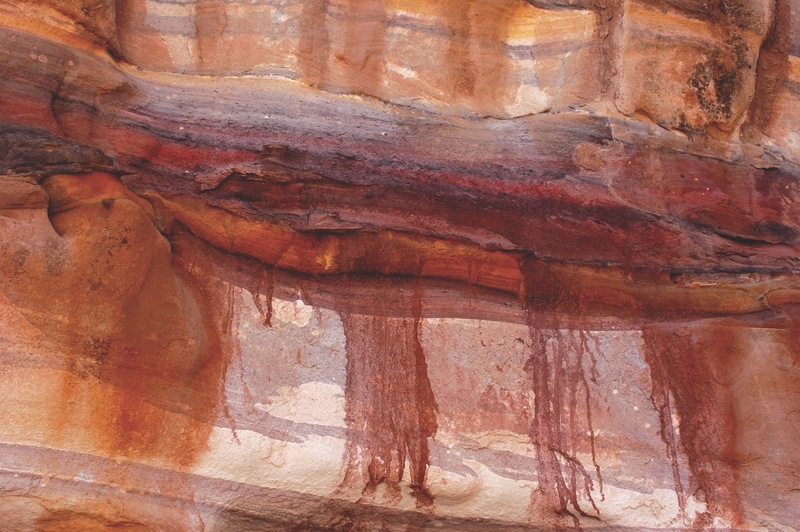 The colours were formed by the rhythmic deposition of various elements and compounds from mineral-rich water that once flowed within the rocks. What is interesting that at the High Place Mountain an Edomite tent-shrine which was cut into the rock, to a depth of about forty centimeters, measuring approximately fourteen meters by six meters. It seems to have been an ancient custom to have a tent of the communion of some sort, very similar to the one found in Timnah in the Hathor temple next to two rock carved obelisks. Two large stones (each horn measured about thirty centimeters long) in the shape of horns were discovered in 1996 by a student from the British School of Archaeology in Jerusalem, below the mountain. The cow head-horns are commonly associated with Hathor. According to Graham Phillips, in his book “Ark of the covenant,” the could be attached to the altar at the high place and that the cow head-horns are commonly associated with Hathor. From the Edomite’s ruins. We can learn easly that they were trying to creat a Sacred Space or Neutral Zone to commun or host the Holy Spirit. In the Old testiment we see this concept in Moses tent of the meeting chapter in Sinai. Such Sacred Places of Holiness and Neutrality were used as space for Judgment, Initiation, Sacred Rites and Ceremonies. One find compelling evidence that the Edomite’s were trying to make a Sacred Space, when they carved two 6 meters long Obelisks with EAST-WEST direction out of the mountain rock. Two obelisks in alignment with the East-West directions facing Egypt. 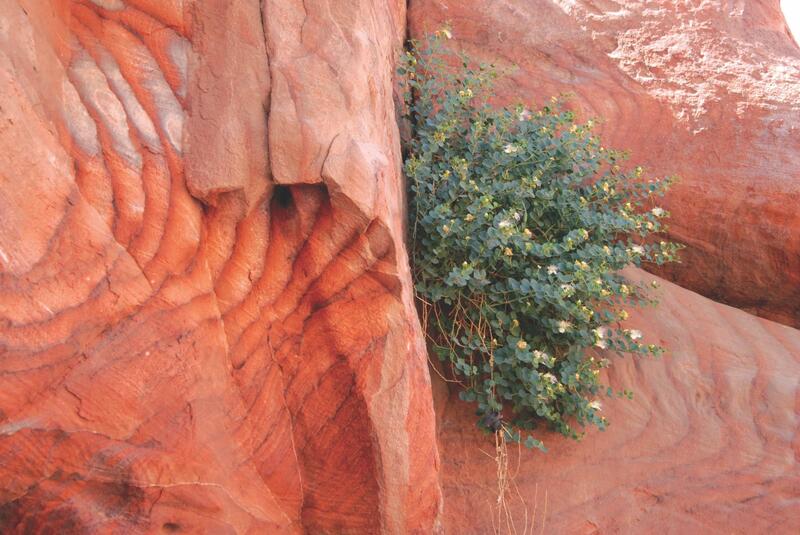 Carved in one solid piece from the living rock in which they stand. The debate over Punt's place on the map began in the 1850s, when the newly formed Antiquities Service of Egypt began clearing the great temples in and around Thebes. 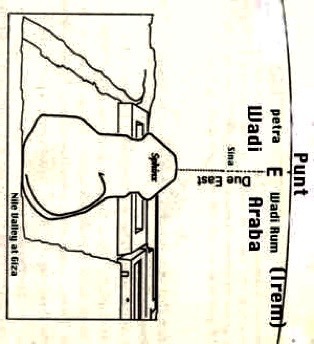 Based on newly revealed hieroglyphic texts that described Punt as a source of aromatic substances situated to the east of Egypt, Heinrich Karl Brugsch first suggested, in the late 1850s, that Punt lay on the Arabian Peninsula. It seemed straightforward enough. After all, the Greeks had glorified the "perfumes of Arabia," a land that lies due east of Egypt. The testimony of a 6th Dynasty official who claimed to have visited Punt and Byblos in Lebanon eleven times. An argument Sayed Qumni use to explain that Punt must be on (East) on the way between Byblos and Egypt in order for a person to be able to go back and forth 12 times in a person life time. Given this spiritual tradition, whether or not the various hypothesized Puntite locales have or once had an established cult devoted to Hathor — the presiding “Lady of Punt” and metaphorical “mother” of Queen Hatshepsut — can serve as an additional factor in helping to accurately hoe in on the ancient territory. At the Serabit el-Khadim temple she was called the "Lady of Mefkat", "Lady of the Blue-Green Gemstones", "Mistress of Turquoise" same color as the copper ore of Median and Edom mines. 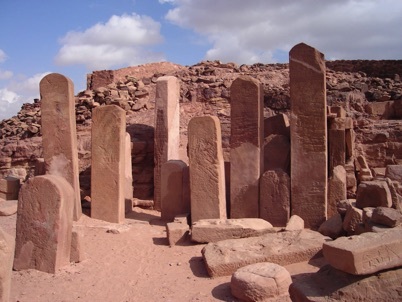 In the mid 1970's, archaeologist Benno Rothenberg find and extensively explored a temple in Midian near Wadi Arabah that was dedicated to Hathor. 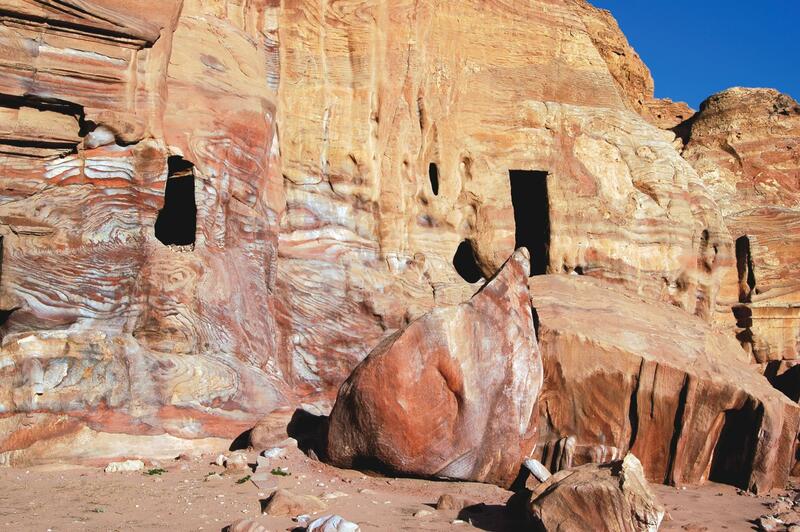 He also noted that the Midianite tent-shrine erected over the ruins of Hathor’s temple in Wadi Arabah "Timnah" follows in the tradition that it was sacred ground in connection to the mineral ores. So it seems that the Egyptians of the Dynastes that have Amu blood they looked at the mineral ores as sacred ore, and that was given to them by Hathor "Nature or Earth Spirit" to develop the world and bring about all the changes that Egypt saw by the wheel and powerful tools. 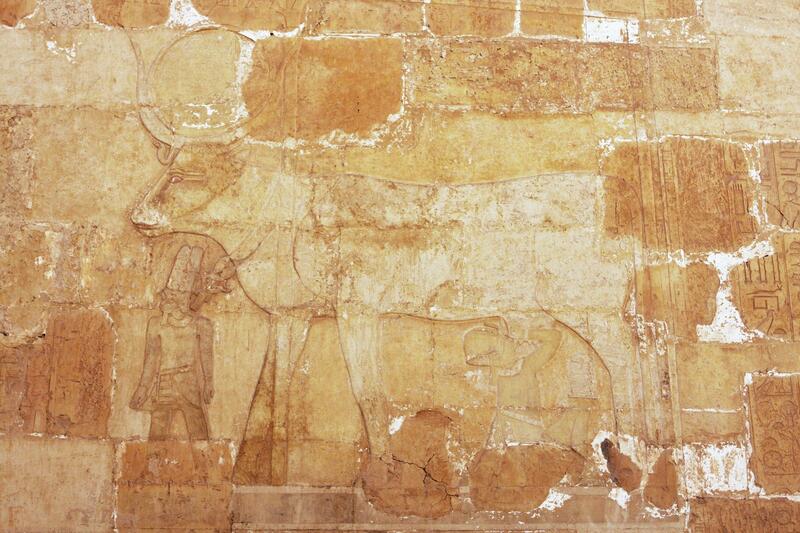 All Archaeological evidence indicates that Hathor was the local shepherds deity in the region. 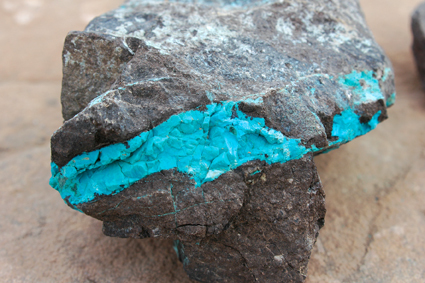 So why is this substance or stone associated with the turquoise and copper mines, and the cow-headed goddess Hathor? In the periodic table, copper is grouped with gold and silver as belonging to the same family. These three elements share similarities in their electron structure, which in turn makes them exhibit similar properties. All three are malleable and ductile, and have high thermal and electrical conductivity; they are the most conductive of all metals. It is hard to resist identifying it with the biblical account of the Copper serpent , Moses and Sinai. Because there was undoubtedly a mystery behind the fashioning by moses of a copper serpent in order to stop a the fatal epidemic disease that killed countless Israelites during the Exodus. Moses, on god’s instructions, “made a copper serpent, and place it a top a Miracle pole,”. When those who were afflicted by the plague looked up to the copper serpent, they remained alive (Number 21;8-10). Copper was also an important element in the construction of the tabernacle and Tent of Appointment in the desert of Exodus. 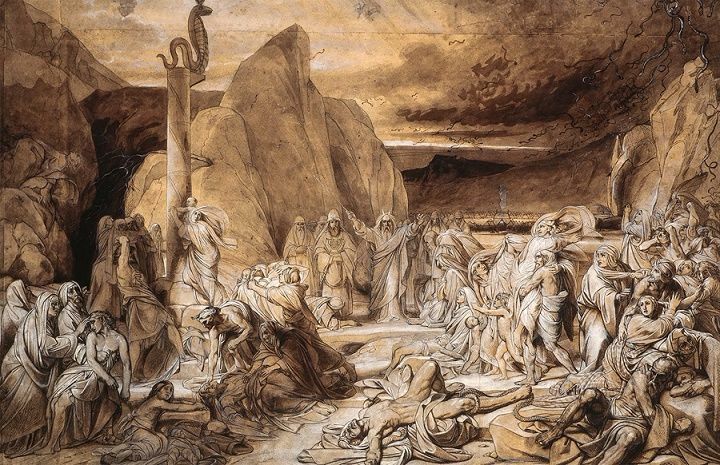 Moses was given detailed and explicit instructions regarding the rites to be performed by Aaron and his sons, including their clothing, and the sacred objects to wear. He was given the exact combination of ingredients to make the incense that would create a cloud to shield them from deathly radiation, “so that they die not when they enter the Ark of the Covenant.” It was clearly stated that the ash basin must be made of COPPER (Exodus 30:17). All these dispersed but seemingly connected facts suggest that the old copper that Moses used played a role in human biogenetics and their state of connectivity with higher realms. Hathor entered the Egyptian state religion near the beginning of the Fourth Dynasty of the Old Kingdom, and from that time forward absorbed the attributes of a certain sacred sycamore spirit at Heliopolis (sometimes called the Giza sycamore). By the reign of King Menkaure (c 2739-2722 bce) her titles had expanded to include "Mistress of the Sycamore in All Her Places". Beyond these facts, we do not know exactly how the fig came to be associated with the sky-cow goddess. 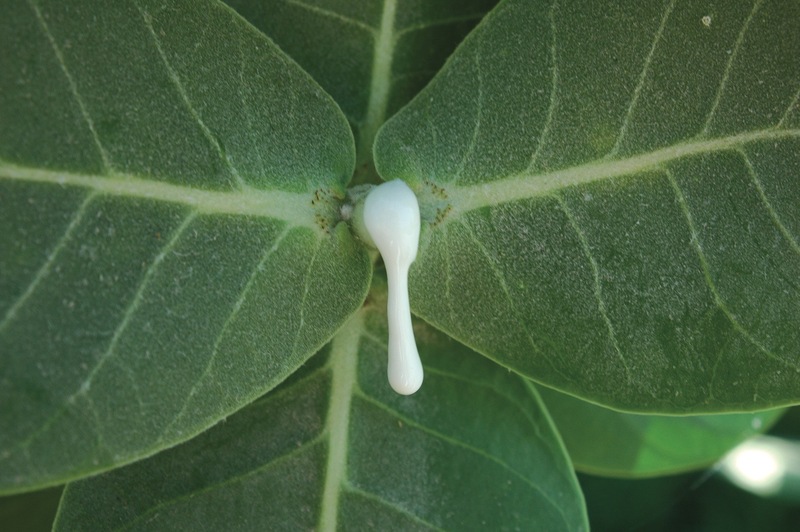 Another likely reason for Hathor's early identification with the tree is that fig leaves and latex were used for medicinal purposes among ancient tribes and Hathor was very early thought of as the goddess of healing powers. A second identification possibility lies in the fact that Hathor was worshipped as the Mistress of Drunkenness and the fruit or the latex of the sycamore fig or the common wild fig may have possessed some intoxicating or consciousness altering effects. 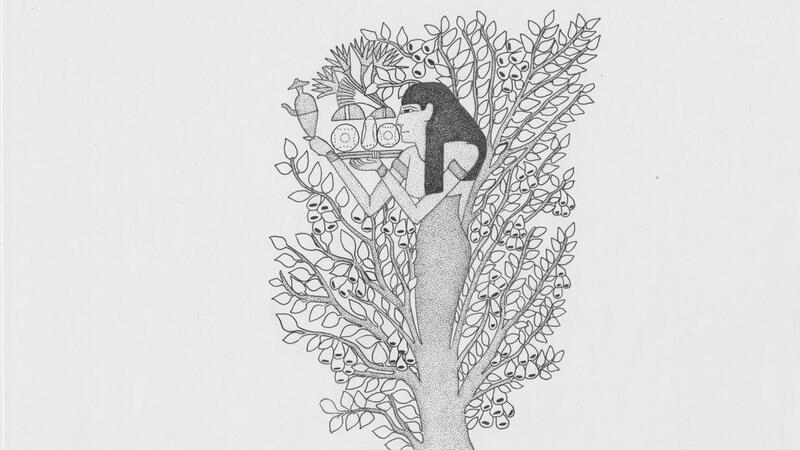 Hathor had dominion over all altered states of consciousness, not just alcoholic stupor; so it would be reasonable to connect her with an intoxicating or narcotic fruit. How the sycamore fig might have been prepared to produce such psychotropic effects is unknown today. 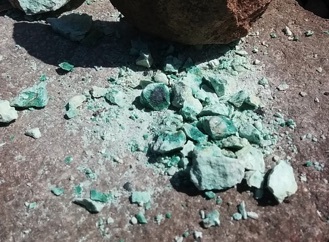 Copper compounds are commonly encountered as salts of Cu2+, which often impart blue or green colors to minerals, such as Hathor’s turquoise color. 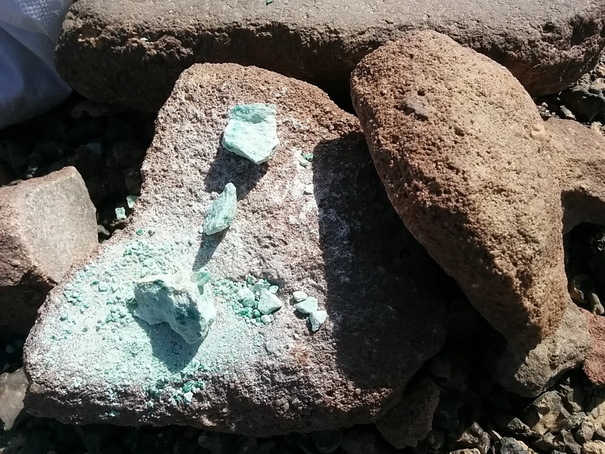 Copper salt concentration in the soil seems to be an essential trace nutrient to Hathor’s trees (the sycamore and the fig,) which have a special relation with this greenish turquoise malachite soil. 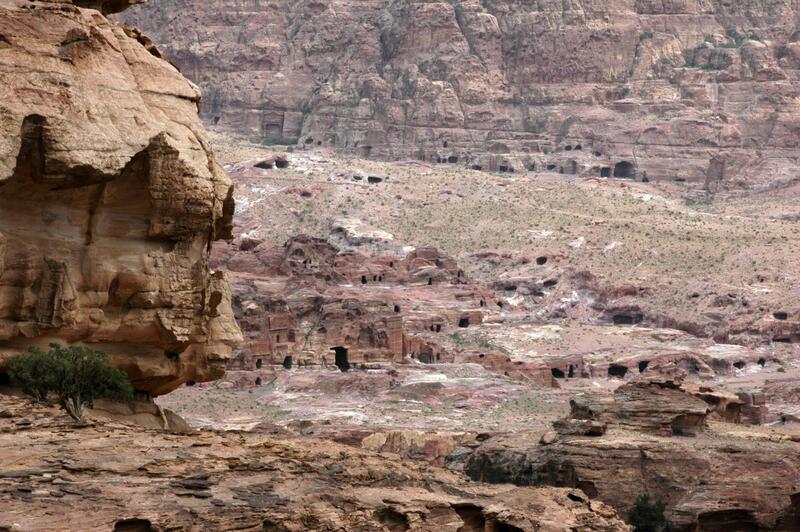 Rock-drawings of a Camel, more than 3000 years old. The Rock-drawings, provide a massive library of human records, giving us a rare glimpse of an important era of animal domestication. 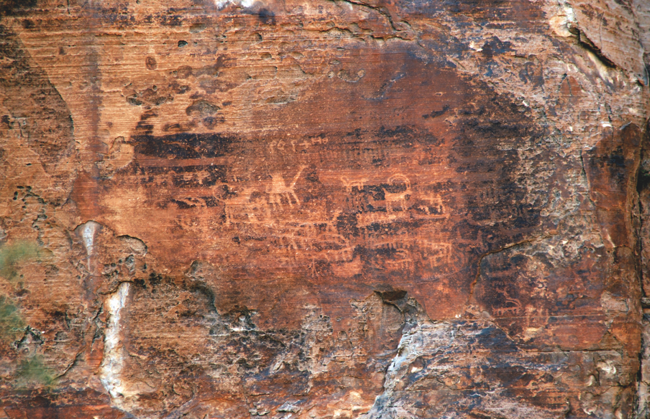 Lower: Rock drawings of a camel, a dog, a wild Nubian Ibex “Badan” and many little wild goats in Beidha, north of Petra. The archaeological findings of the scholars Leonard Woolley and De Morgan, confirm that the northern shepherds but not the farmers are those who migrated to this region for demographical rea- sons such as over population, natural disasters or flooding.